Empowering school children island-wide to successfully manage health and safety risks, Hemas Hospitals launched the ‘Suwa Sisu’ program and initially conducted training sessions for first-aid champions. Suwa Sisu is a comprehensive health and safety project which engages in training first-aid champions, supplying first-aid facilities, including first-aid boxes to schools, as well as conducting educational programs for students, teachers and parents. Hemas Hospitals plans to expand the program to uplift health and safety preparedness in 100 schools across the nation by 2020. In line with the project objectives, Hemas Hospitals has partnered with the Sri Lanka Saukyadana Movement to provide first-aid training to students while consultants and healthcare professionals from the hospital chain facilitate educational sessions. 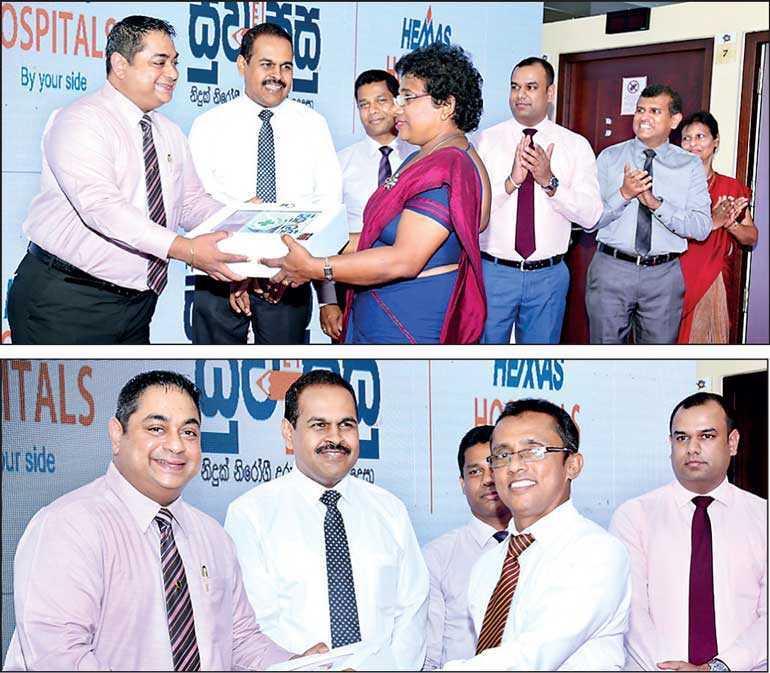 Conceptualised by Hemas Hospitals Managing Director Dr. Lakith Peiris, Suwa Sisu was launched parallel to Hemas Hospital Thalawathugoda’s fifth-anniversary celebrations. This long term initiative will bring together students from various schools island-wide through a shared training program which will also include sessions on health, hygiene and life skills. The project, a first among school children, aims to coach students in health and safety risk management and thereby foster skills needed to successfully face any medical emergency. “Children lead active lives. While being active is an essential aspect of a healthy childhood, this also places them at risk of occasional accidents which if not handled properly can lead to serious health risks. As a socially responsible healthcare provider, we believe that we can assist children themselves to effectively manage medical emergencies. Suwa Sisu is our way of uplifting children and adults who care for them to master the skills and aptitudes necessary to face emergency situations sensibly. Health and safety risk management can help save lives and train children to take responsibility and become good leaders. During the initial training sessions, we coached more than 150 first-aid champions and we hope to continue the good work,” Dr. Peiris said. “One does not have to be a medical expert to deal with an emergency situation. The right basic knowledge can control the situation until the medical support arrives,” he stated further, adding that common emergency situations in schools include falls, fractures, bleeding, seizures, vomiting, and diarrhoea, and that choking was one of the most hazardous emergencies. Under the first phase of Hemas Suwa Sisu, batches of students from Viharamahadevi Balika Vidyalaya Kiribathgoda, St. Anthony’s College Wattala, St. Anne’s Balika Maha Vidyalaya Wattala, Sri Subuthi National School Battaramulla and Sri Indrajothi Vidyalaya Battaramulla were provided first-aid training. Selected schools were those in close proximity to Hemas Thalawathugoda and Wattala. Notably, Hemas Hospitals have also pledged to provide a regular supply of first-aid kits which the hospital will replenish when required. Students who successfully completed the first-aid training program during the initial stages of the pioneering initiative will be given certificates of recognition. The first-aid champions will also be encouraged to participate in a number of educational and skills development programs facilitated by Hemas Hospitals. The students will receive further awareness building programs on emergency medical treatment and they will be invited to participate in health camps, health awareness programs as well as career development programs. First established in 2008 with the launch of its pioneering facility in Wattala, and followed by a second facility in Thalawathugoda, Hemas Hospitals is one of the most advanced hospital chains in Sri Lanka and is currently aiming to further expand its operations into super-specialty medical and healthcare through the addition of further state-of-the-art facilities aimed at providing international standard of healthcare at an affordable rate for all Sri Lankans. The organisation employs over 300 consultants covering a wide range of specialties and the 24-hour Accident and Emergency Units are equipped to handle any medical or surgical emergency.